This is a total long shot, but I am looking into possibly buying a car to work on and I decided I would like a 1984-1990 BMW M3 Coupe. Do you or anyone you know have one in decent shape (able to run and drive) and willing sell? Please let me know. heck, if you would have posted this a month ago, I could have hooked you up with one. I did get to take it for a spin and it did reinsure that I do want to find one! 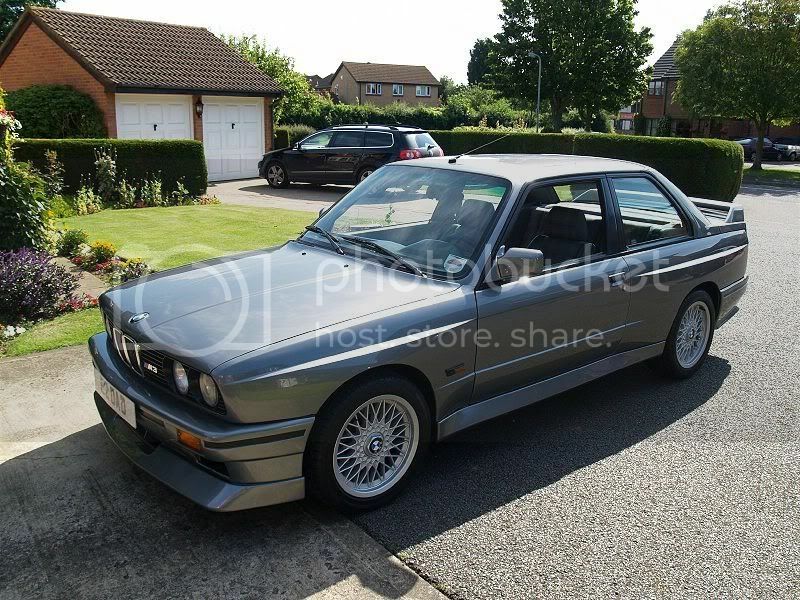 Do you mean a real m3 like this in picture or just a reg e30? did it have the flares on fenders lol? let me know where that one is you found if its a real e30 m3 for 10k cause ill find way to get it or know someone that would buy up.I really dont think you know what a e30 m3 really is and thinking any e30 chassis???? e30 m3s are big dollar cars nowdays and hard to find. Thats a real e30 m3 in stock cond.I think made them 88-91 if remember right and very hard to find nowdays for fair price as they just go up and up in value.If looking for something cheaper but yet nice and fun i would look for a 325is 89-91 with the smaller bumpers and not the big heavy metal ones.If i come across anything ill post here.Oh and gotta watch out for rust with midwest cars as e30s do have some trouble areas.